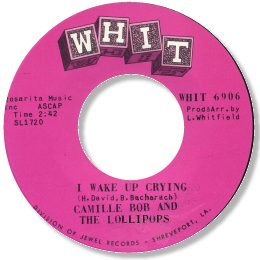 Camille Bob was one of the best and most enduring of Louisiana’s soul men. And I think it’s probably because the majority of his recordings were for labels associated with other forms of music like swamp pop or Cajun that he has been rather undervalued to date. He was born on 7 November 1938 in Arnaudville and got his start in the music world as a drummer for local bandleader Good Rockin’ Bob but set up his own group around 1958, cutting his first disc for Eddie Schuler, a tribute to the great pianist/singer Katie Webster. His very good High Up single “Are You Ever Coming Home” is heavily in demand as an R & B dancer, “Please Don’t Leave” is a well structured ballad, but the best of these early discs was undoubtedly the superb blues ballad You Don’t Have To Cry on which his youthful sounding baritone soars above droning horns and a tinkling piano to great effect. 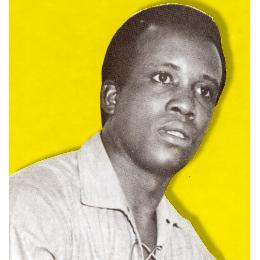 His lengthy stay with Carol Rachou’s La Louisianne concern yielded not only a big hit in the rightly celebrated drinking anthem “I Got Loaded” but several other notable sides as well, ranging from the tough R & B of “Are You Going My Way” to the more lightweight jauntiness of “I Can’t Take It” and “Nobody But You” to the JB influenced “Look Out Mr Heartache”. 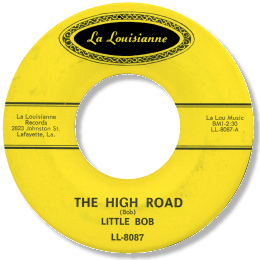 I like the previously unissued minor keyed deep The Way It’s Got To Be very much indeed and “The High Road” has some very appealing swamp pop horns as well as a very fine vocal. Moving over to Jin didn’t change his style appreciably, and he continued to make super southern soul like the mid paced You Know It Ain’t Right and a great version of “Who Needs You So Bad” best known as a killer blue eyed deep soul piece by Gary Walker. The Jin LP is however a great disappointment however being a collection of covers. 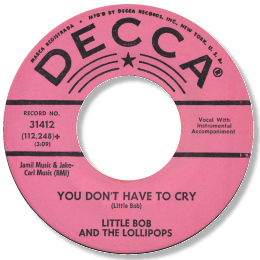 Bob’s only Whit 45 was much better though, and may even be considered his finest hour. I Wake Up Crying is a magnificent deep ballad, lovely chord changes, a big horn section and a superbly phrased lead vocal. It would have been great ot have had more like this, but instead there was an underproduced tribute to JB and a version of “Harry Hippie” that doesn’t get anywhere near Bobby Womack’s definitive reading. Camille Bob is still active on the Louisiana music scene having recently celebrated his 50th year as a musician. Long may it continue.